To give a brief back story, my boyfriend had purchased his own Leesa® mattress months ago, and the both of us quickly become fans. Naturally when the opportunity arose to partner with them, I selected the same mattress and gave it two weeks of testing before writing this post. It is pretty safe to say I'll be keeping this mattress for years to come. The Leesa® mattress arrives conveniently compressed in the box shown below and takes seconds to unfold completely. My parents were so entertained by this concept that they unpackaged the mattress with me, ha. At ten inches thick, its design is composed of three layers of premium foam all combined to keep you cool, cushioned, and supported. 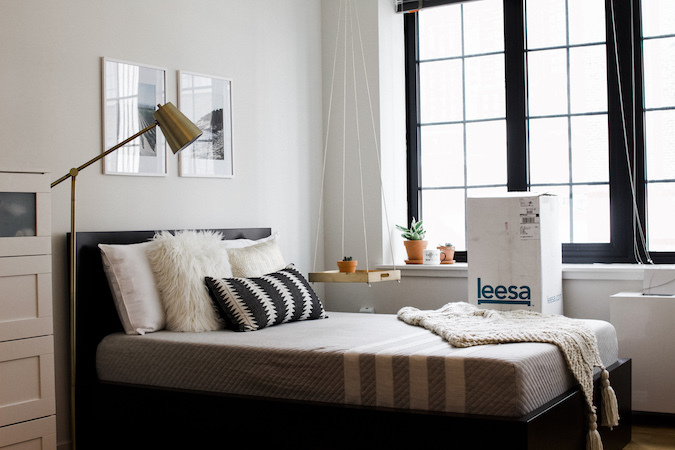 As an added bonus of shopping with Leesa®, they allow for a 100-night sleep trial to help you determine whether this is the right mattress for you. They have both you and the overall community in mind, as one mattress is donated to a local homeless shelter for every ten sold. As a result you receive better sleep, and so does another in need. I'm no interior designer, but I know that a comfortable space is a valuable one. The term home should bring about a sense of protection and warmth, whether it is your own house or just a temporary space like mine. 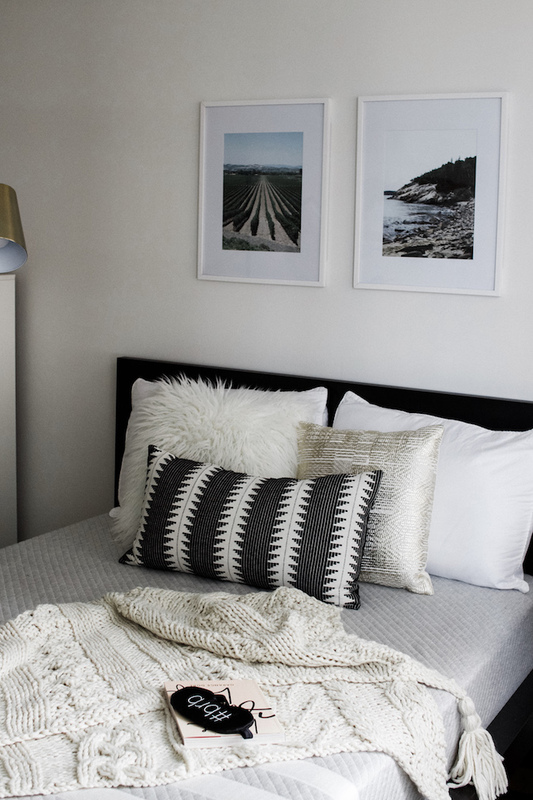 I've paired my Leesa® mattress with throw pillows for a cozy resting corner, a DIY hanging night stand for a personal touch, and a reading lamp to make it the ultimate space for rejuvenation. 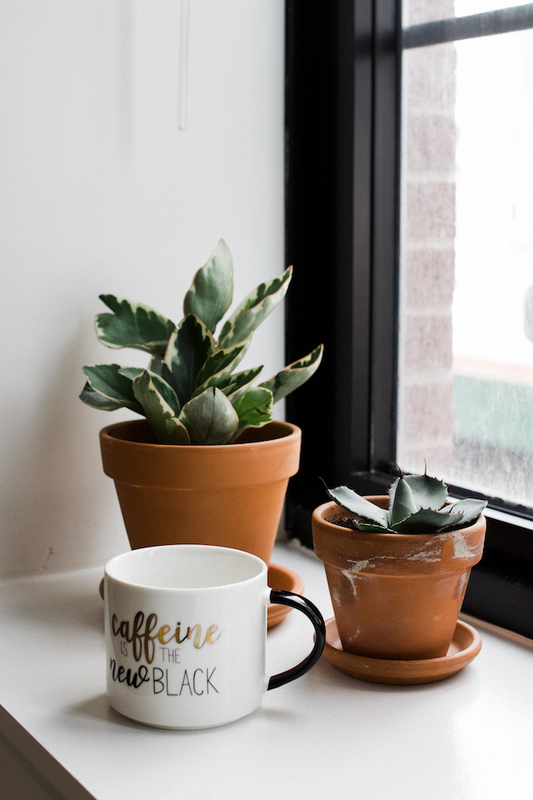 I also believe that plants tie a room together, so you can bet I'll be adding even more with each new month. This is just a slice of my newly designed bedroom, though in my opinion it is the most important corner. Stay tuned for a full tour of my room coming up soon -- but for now you'll find me cozied up on my Leesa® mattress getting comfortably re-energized for each new day. 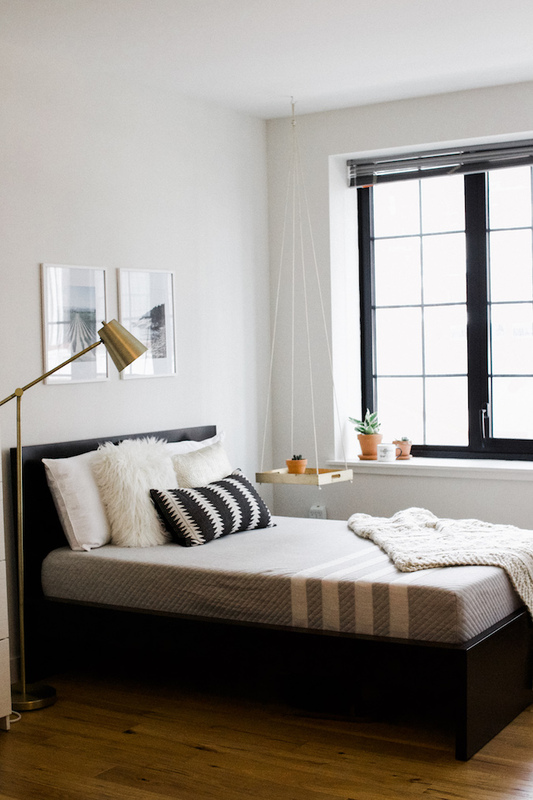 Update: The Leesa Mattress is now available in over 88+ West Elm stores nationwide! Oh my gosh, I love your new place! <3 The mattress looks so cozy and the hanging night stand is so cool and unique! Wow, I love your bedroom! You decorated it so beautifully! That bed looks so comfortable. 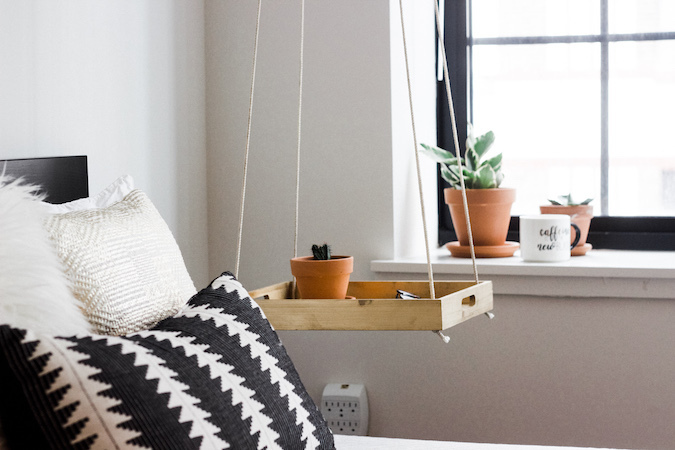 I love the flying mini "table" next to you bed, such a great idea. Omg your bedroom is soooooo stunning! I got so much inspo from this, specially that floating side table, it's so cool! OMG!! I really love your bedroom, it's so clean and simple! Great post. Your bedroom is amazing ! I love the decorations so so much. This bedroom looks so stunning ! 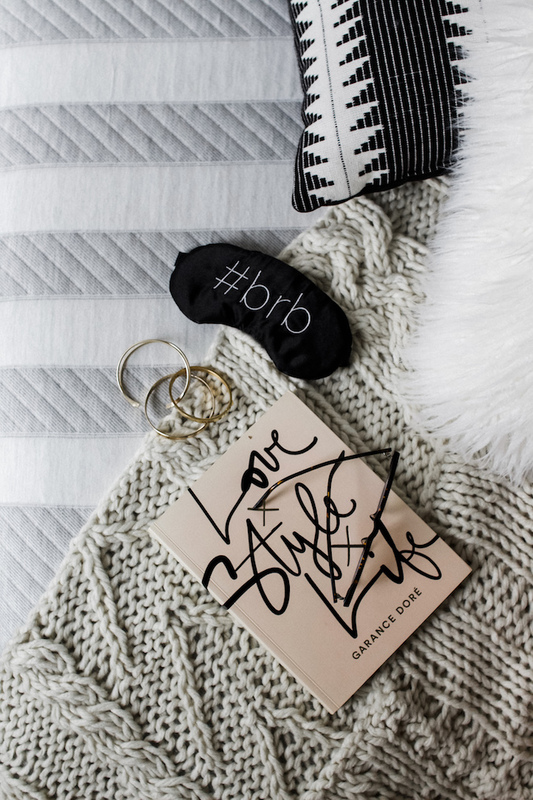 Cozy and simple ! I am in love with your apartment! It is absolute perfection! Never heard of Leesa but their mattress looks comfy! That's a beautiful setup. 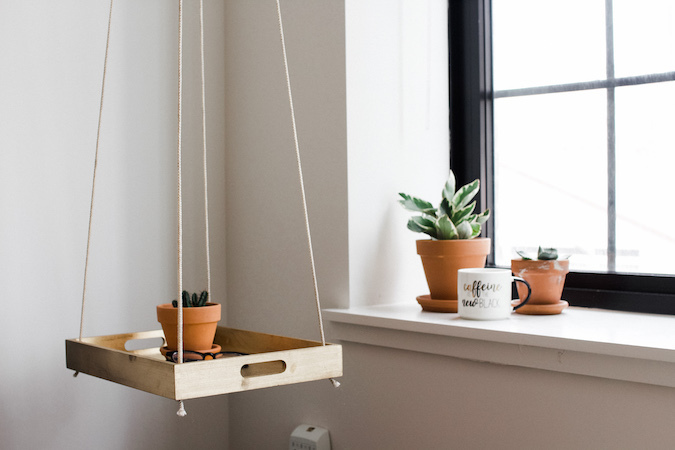 Love the hanging tray/side table. This mattress looks Fantastic! I can't believe it comes in that little box and folds out. This looks like a comfortable and compact bed. I like the monochromatic touches of your room, looks modern and cosy at the same time.